Heather Nauert, President Trump's Pick for U.S. Ambassador to the United Nations, has withdrawn from consideration for the post, the State Department said Saturday. 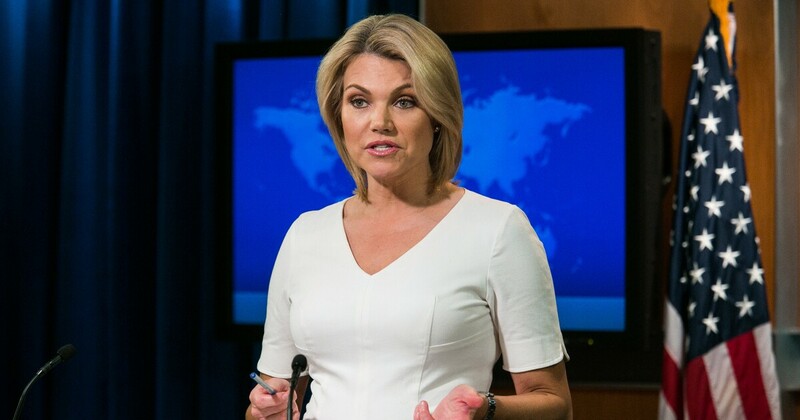 Nauert, a former Fox News host who joined the Trump administration in April 2017 as State Department spokesman, was chosen to replace Nikki Haley in the UN ambassador's role. But her nomination had not been formally sent to the Senate. Create a state department statement on Saturday cited family reasons for the reversal. "The past two months have been grueling for my family and therefore it is in the best interest of my family that I withdraw my name from consideration," she said. 8. The former South Carolina governor became one of the highest profile Trump administration officials, known at the UN for here fierce defense of Israel and denunciation of Iran and other US adversaries. Nauert's nomination hearings had lingered for an unusually long two months. She faced scrutiny over a lack of diplomatic experience for the international posting. But she was considered part of Mike Pompeo's inner circle.